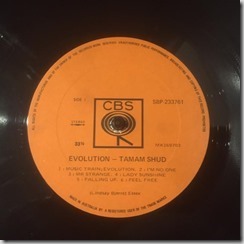 Tamam Shud is an Australian psychedelic, progressive and surf rock band, which formed in Newcastle in 1964. The initial line-up were known as Four Strangers with Eric Connell on bass guitar, Dannie Davidson on drums, Gary Johns on rhythm guitar and Alex “Zac” Zytnik on lead guitar. At the end of that year Johns was replaced by Lindsay Bjerre on guitar and vocals as they trimmed their name to the Strangers. By late 1965 they had become the Sunsets. They took the name Tamam Shud in late 1967 after replacing Connell with Peter Barron on bass guitar. 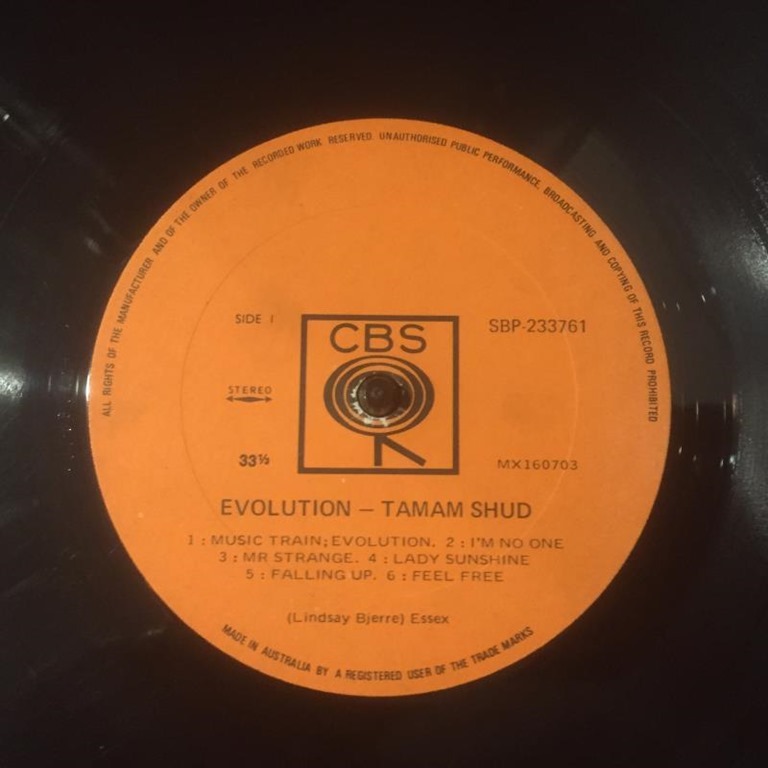 Bjerre found the Persian phrase tamám shud (translated as “ended”, “finished” or “the very end”) in the closing words of The Rubáiyát of Omar Khayyám, an 11th century poetry collection. 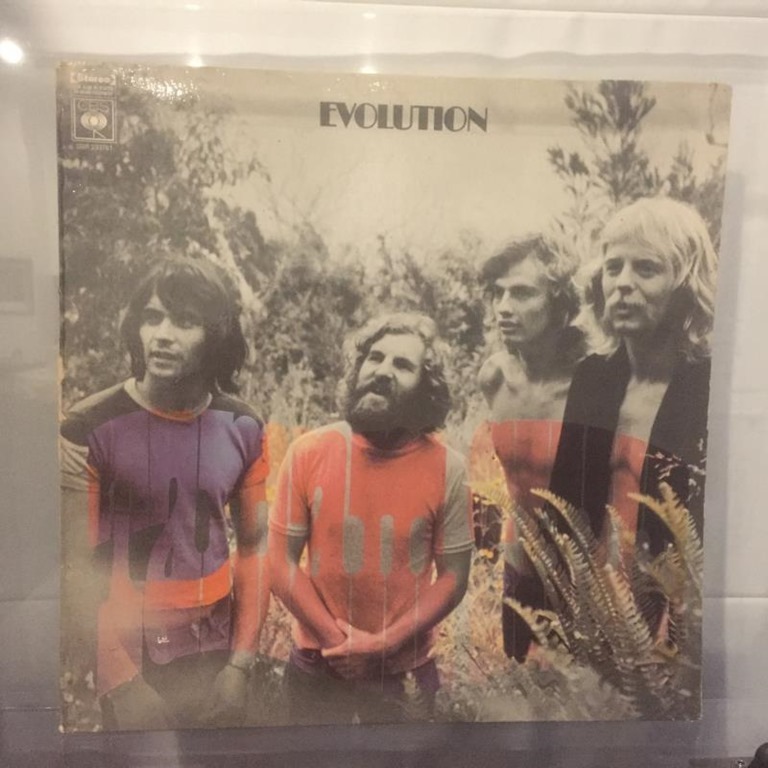 Right, so now that we have that out of the way, what you need to know is that this band, formed sometime in 1964 just released their fourth album.. last year in 2016… So they are a bit slow at releasing albums. 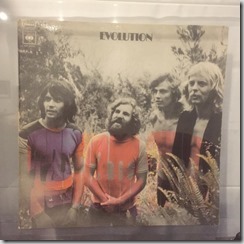 Evolution is their first album, from oh so many moons ago, and even featured several tracks on a surfing video at the time. 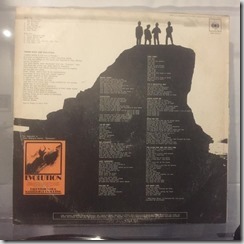 I was introduced to the band’s work courtesy of the soundtrack to the Morning of the Earth – a surfing movie from 1971. There’s a lot to like in this album. The work is very much a product of its time. I hadn’t heard a lot of “surf psychedelic rock” before, and it is a bit hard to describe. There’s plenty of harmony and rhythm blended into guitar riffs. Owing to their working being incorporated into the surfing film, most of the tracks were recorded in a sort of jam session, as the band played to match scenes from the film. Copies of this album are hard to come by. 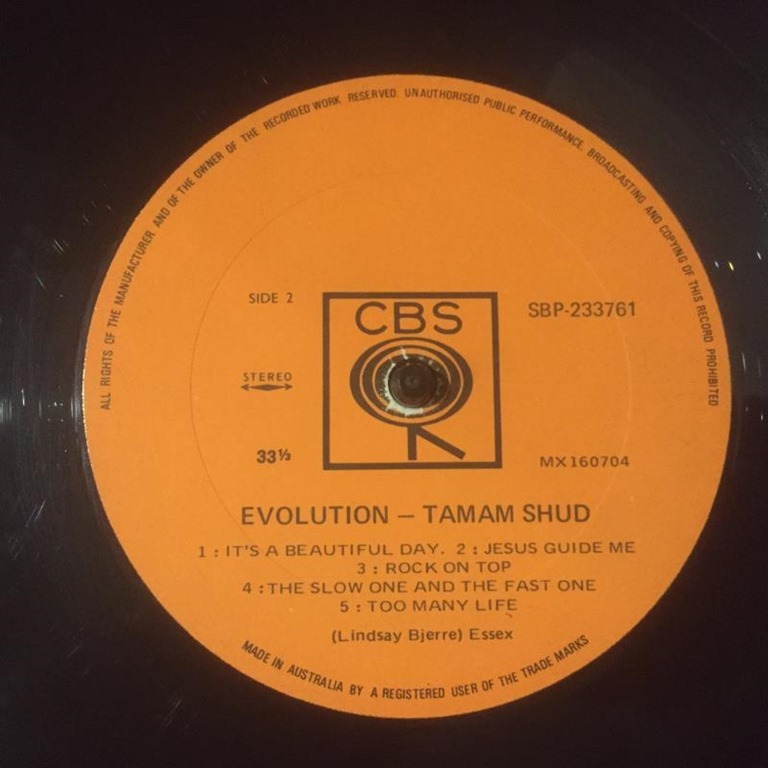 By way of an example, (as of writing) there are only 18 copies for sale on Discogs, and only 6 original pressings. My copy is heavily scratched (A-side more than the B-side) but surprisingly it doesn’t much effect the playback. After some heavy cleaning, most of the background noise was eliminated, I’d say it looks G+ but plays close to VG+.